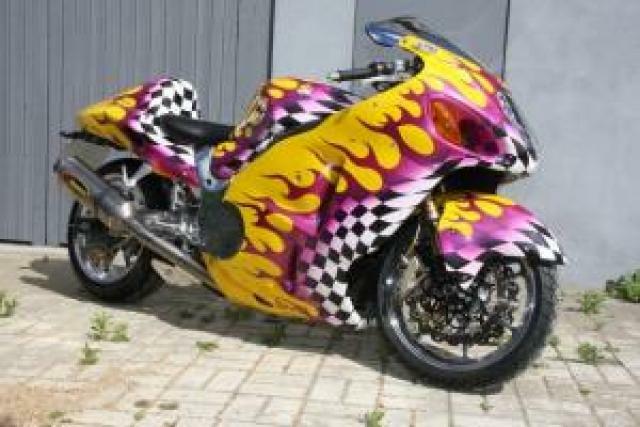 SOUTHEND policeman, Steve Fisk, had his 'highly modified' Suzuki Hayabus stolen in the early hours of Monday the 7th of November. 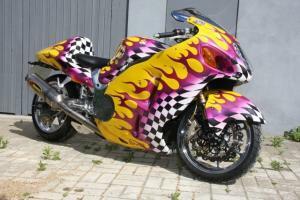 The bike features 'distinctive flame paintwork in purple and yellow, over a black and white chequered background'. The registration is YNG 341. PC Fisk values the bike at over £14,000. Anyone with information, or who witnessed suspicious activity in this area is asked to contact the investigating officer, PC Anthony Sharman, who can be reached at Rayleigh police station.